Wxline is proud to offer expert Electrical Storm Identification Device (ESID) service and repair. 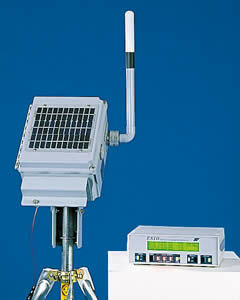 Wxline's resources include an intimate understanding of the ESID sensor and display components. ESID fiber-optic cable repair and replacement services are also available. Fiber-optic cable has appropriate ESID Sensor and ESID Display connectors. For cable runs over 90 meters please call for pricing. Please notify Wxline before sending ESID components to help schedule service work and to minimize turn-around time. Wxline evaluates the ESID Sensor and Display and performs standard maintenance for a flat fee. In some cases, a repair service cost estimate is quoted based on additional labor and parts required. Wxline sells refurbished ESID components (including Sensors and Displays) and spare parts. Contact us for availability. Wxline rents ESID Sensor and ESID Display components. ESID systems in need of service may also be eligible for our Advance Exchange Program. Please call for details.